In early 2014 we took our 2yr son to a miniature model train exhibition. 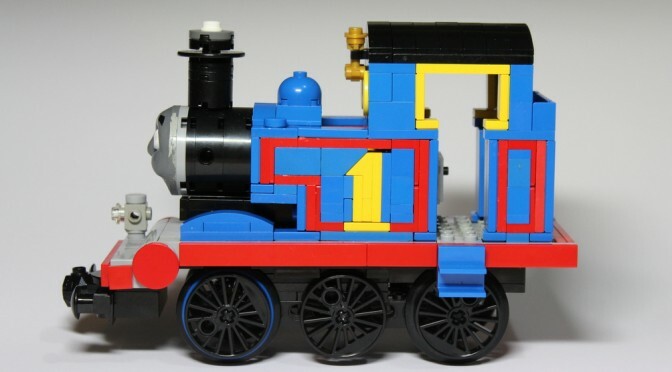 He really liked it especially the Lego display, which had a….custom Thomas the Tank Engine. We stayed at that display for a good 15 minutes. 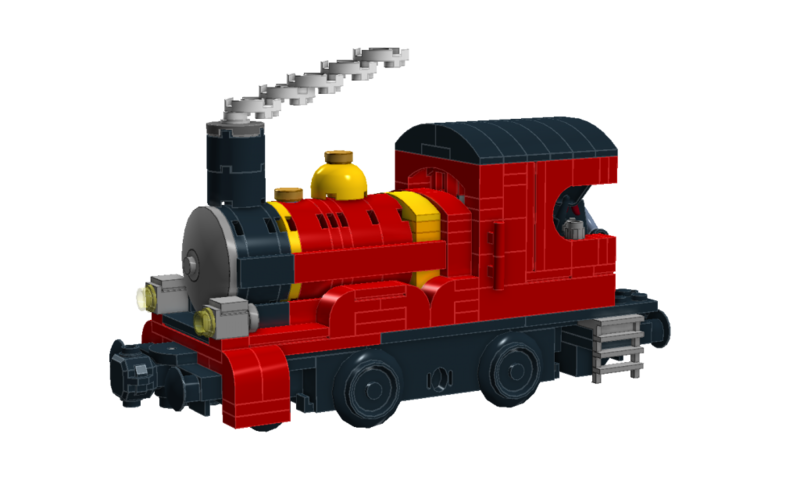 While I was watching Thomas go around, I thought I should have a go at making one. The next weekend I found my old Lego train sets, the 12v ones form the 80’s. It had been at least 20 years since I last played with it. To my surprise had still had most of the pices and it still worked. My first design was based off my black steam train from set . 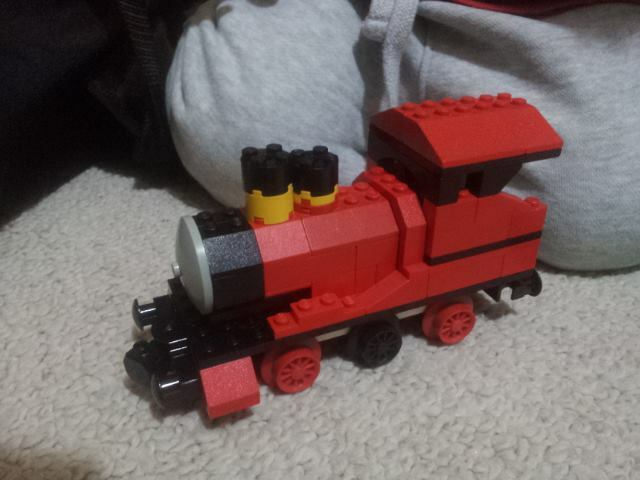 Because I didn’t have many blue sloped bricks, I started my making a James as I have many red slopes. It didn’t take long to make and my son was impressed and starting playing with him. I had recently seen and article about the creation of the Ghostbusters HQ and the guy was building it from the design he had created in Lego Digital Designer. It looked like a fairly good way of designing Lego creations. So I downloaded the software and begun to replicate the James I had just created. The main feature of James that I wanted to achieve was the side arches of the cabin.